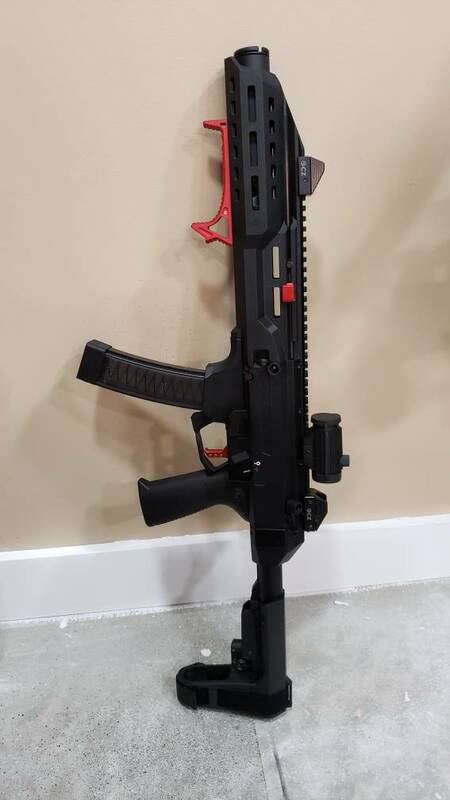 Anybody have any experience with the CZ Scorpion EVO with Full Length Handguard? The Model Number is 08599. I am thinking very seriously about purchasing one and would value your opinions. I plan to use the gun on the farm for predator control, home protection, Steel Challenge, and possibly some IDPA/IPSC competitions. Looks like the extra sight radius and extended handguard may be of benefit over the standard model. Looks like it costs about $75 more than the standard model. A factory pistol length and a rifle length aftermarket hbi. I can't really tell that I shoot it better with either one to be honest. Manticore arms had their h. guards on sale a few weeks ago. Wouldn't hurt to check their prices and availability. I'm not sure what you're asking for. Do you want opinions specifically about the full-length hand guard? I purchased with full length handguard with intention of running suppressed and wanted to have a nice heat shield as well as a longer site radius. While I am waiting for suppressor I have since put on the standard pistol fore end and am liking the compact size as well. My only concern with the long hand guard is the potential for suppressor end piece to get stuck and not be able to address as you have to have access to the barrel nut in order to remove hand guard. Also I would always go with a direct thread vs tri lug for same reason. You must also keep your can at less than 1.5 in width and at least 4.8 in length. Some of the newer modular cans “k” configurations May be too short. Anyway I am not discouraging you as I like the long handguard but just want you aware of options. Most flexible would be pistol style with HBI handguard for ease of maintenance. Sorry for the confusion. Model Number 08599 appears to be carbine length barrel with a muzzle break and a full length handguard. I happened see this model listed on Bud's website. I was wondering if anyone else had one and would offer their opinion. 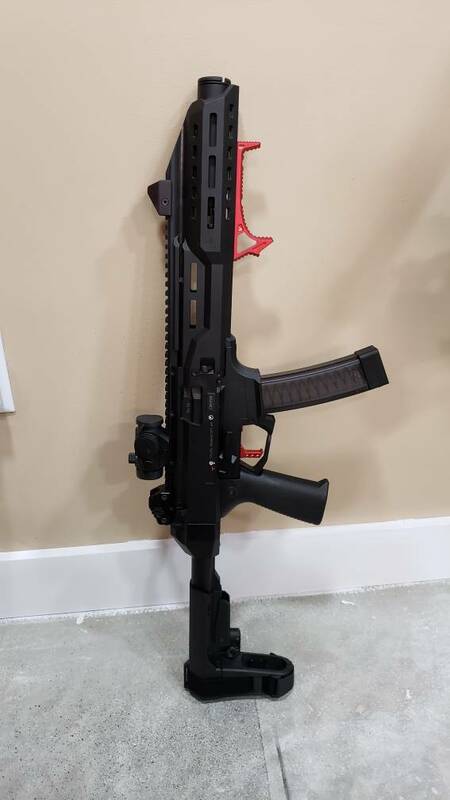 I just bought the carbine with the full length handguard last week. I have not had a chance to shoot it yet but really like the way it feels. The handguard on mine from the factory is the HBI version. I decided to go with the normal handguard rather than the full length handguard. The difference I price was the main issue. It was about $75 cheaper. I installed the HBI safety delete and springs before shooting it. I shot it for the first time on Friday and shot an IDPA PCC classifier with it on Saturday. I'm really impressed with the accuracy and reliability. The gun shoots and handles great, but this shooter need some work. My only issue is that the front sight is fully depressed and it still shoots about 2" low at 25 yards. I plan to do some filing on the front sight this weekend. Enentually I add optics, but that will have to wait.